¶ 1 Leave a comment on paragraph 1 0 The Board of Directors approved a procedure that enabled the president and NCFR office to speak on behalf of the organization in response to social issues and legislation relevant to families and family life in the United States and to release these statements to the press and additional sources. 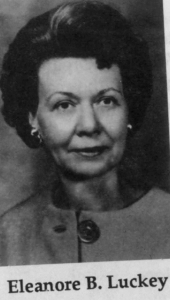 President Eleanore Luckey sent letters to President Nixon, Congress, state governors, and others in public office concerning NCFR’s majority positions on abortion and population control. ¶ 2 Leave a comment on paragraph 2 0 After 2 years of planning, a revised Constitution was developed, which was to be ratified in March 1973.